Human Respiratory System is a photograph by Harvinder Singh which was uploaded on July 24th, 2016. 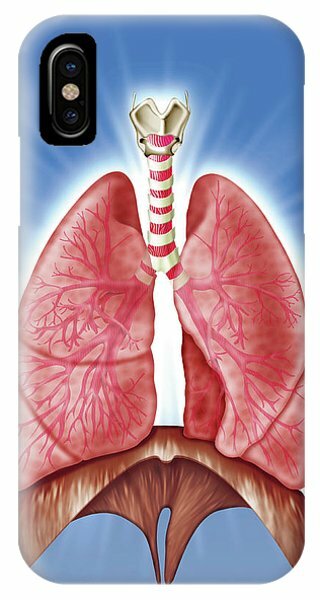 Human respiratory system. Computer illustration of the human respiratory system, which consists of the lungs (centre, left and right), bronchi (upper centre, red and white) larynx (voicebox, top centre) and diaphragm (brown, bottom). 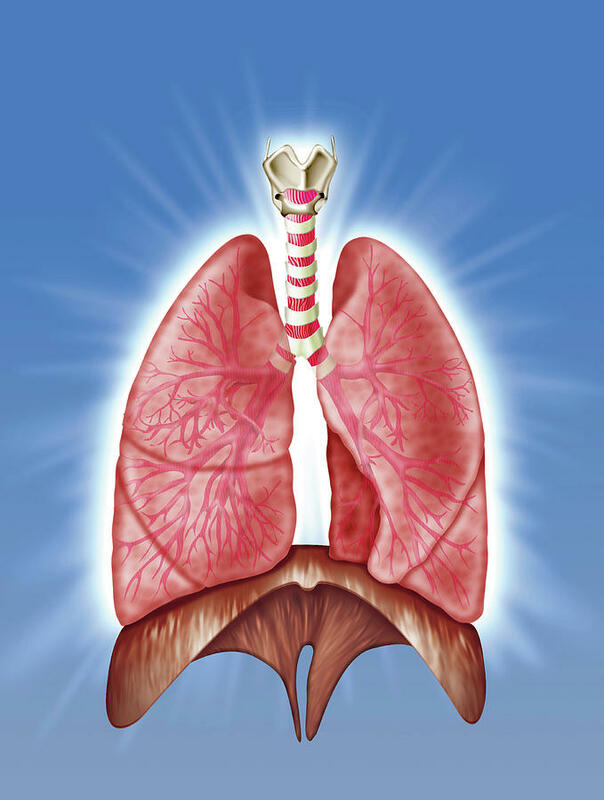 Bronchi are the large airways that conduct air to the lungs. The diaphragm is a thin sheet of muscle that extends across the bottom of the thoracic cavity below the lungs. 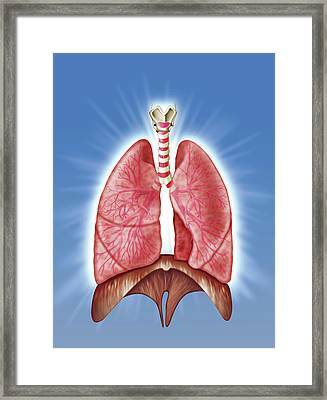 It has an important function in respiration. 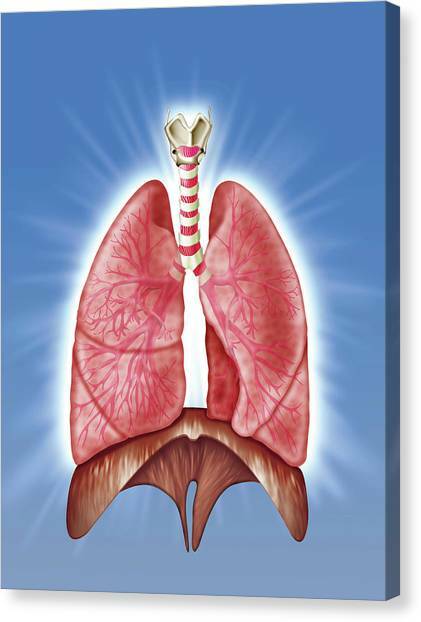 As the diaphragm contracts, the volume of the thoracic cavity increases and air is drawn into the lungs. 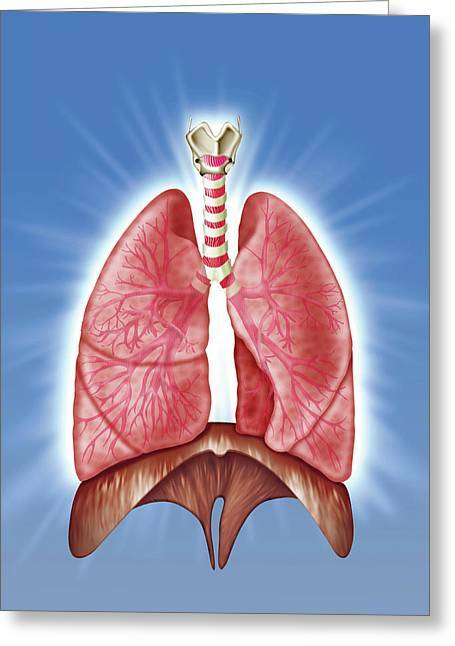 There are no comments for Human Respiratory System. Click here to post the first comment.